Advice Home > Phobias > What Is Thalassophobia And How Can You Cope with It? What Is Thalassophobia And How Can You Cope with It? The word "thalassophobia" is Greek, and it translates to "fear of the sea." Insofar as a thalassophobia definition, those who suffer from thalassophobia have an extremely irrational fear, or "phobia," of the sea, its vast emptiness, the creatures that live in it, and/or of traveling on the water. Thalassophobia can include the fear of swimming in a large body of water, such as a river or ocean. One particularly frightening aspect of the sea to those with thalassophobia is the fact that it continues to get darker the deeper you plunge into it. Because the sea is so vast, there are many things we don't know about it, specifically the creatures that inhabit it. This can be terrifying to some people. Those with thalassophobia may also fear the idea of being far away from land while in the water. Why Do We Suffer From Thalassophobia? What's interesting is that many folks may suffer from thalassophobia and never come to realize it. Many of us become nervous while just looking at a picture of the sea, imagining what potentially lies beneath. Some of us are terrified to see pictures of sharks swimming just below the ocean's surface. An image of a child floating in a raft on a calm sea makes some moms' skin crawl. This anxiety may actually be telling us that we suffer from thalassophobia, a phobia that many might not even realize is a real thing. There are many reasons why someone may suffer from thalassophobia. For one, it may be genetic. Perhaps his or her mother or father was terrified of the sea and so, by proxy, are they. For another, he or she may have experienced a traumatic event related to the sea when they were younger, which can lead to a lifelong fear of the water. Some people have no idea why they're afraid of the water, but just the idea of going to the beach is enough to send shivers down their spines. Some people even suffer from thalassophobia while still having their feet planted firmly in the sand. They may imagine tiny hermit crabs, jellyfish, or other small sea life that may be swimming around their toes at any moment, ready to strike or bite. Or they may fear being sucked out into the water via the undertow, which results in their not even wanting to dip their toes in the water on the shore. If you've always had a fear of the sea, but you're not sure if you'd go so far as to describe it as a "phobia," you may want to take a thalassophobia test as a precursor to seeking treatment so as to determine whether your fear is moderate or extreme. Of course, this test is no substitute for a formal diagnosis, but it might be a good idea to take the test anyway to have a general idea of how extreme your phobia - or lack thereof - may be. 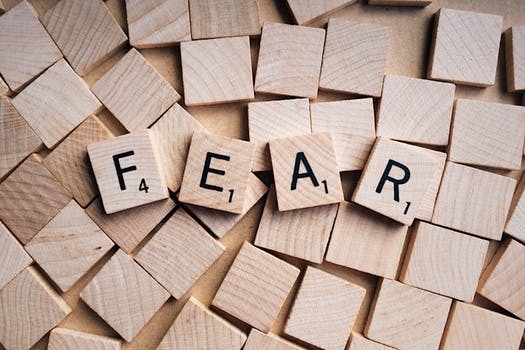 If the test determines your fear to be strong enough to be a phobia potentially, then you may want to consider talking to a professional about it, especially if the fear stands in the way of your getting on a boat or going to the beach. Life is too short to be ruled by fear, and to miss out on those potentially wonderful opportunities that would otherwise be experienced and enjoyed if that fear was overcome is nothing short of tragic. There are no formal tests by which a person can be diagnosed with thalassophobia from a medical standpoint. However, a psychiatrist may decide to submit you for neurological testing so s/he can analyze your brain readings to determine if you are suffering from a phobia. Should you decide to seek to counsel, the psychiatrist would ask you about your lifestyle to see if you may currently be experiencing an affectation from past trauma. If your fear has reached the point that it is interfering with your ability to enjoy life, please consider talking to one of our BetterHelp counselors, who are available online 24/7 to help you begin to feel better. Reddit can be a great resource for those who wish to connect with others on a certain topic so as not to feel so alone. If you've never been on Reddit before, it may be helpful to know that Reddit is divided into separate forums, called "subreddits," and each subreddit is dedicated to a specific theme. The thalassophobia Reddit forum, or r/thalassophobia, is an interesting subreddit for sure. Here, those who are afraid of the water post thalassophobia gifs, photos, and videos of the water itself, as well as of the creatures that live within it (like sharks and eels), and artistic renderings of deep-sea diving. Maybe consider using one of these images as a kind of thalassophobia wallpaper, so that when you sign into your computer each day, you can confront your fear and learn to love the image. What's great about the Reddit thalassophobia board is that it is a collection of people who bond with each other through confronting one of their deepest fears. They do this by posting the very images and videos that scare them from the safety of their computers or phones. In doing so, they can enjoy the majestic sea and its lifeforms without having to be anywhere near a beach or river. Some even find themselves enjoying the thrill of seeing the very images, videos, and gifs that would otherwise scare them if presented to them in real life. If you think you may be suffering from thalassophobia, it is important to get your condition checked out. Thalassophobia has the potential to lead to more serious conditions, such as anxiety, stress, and clinical depression. 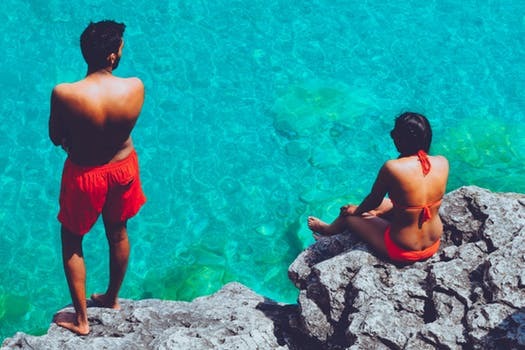 Treatments like hypnotherapy and NLP, or neurolinguistic programming therapy, help people conquer their fear of the ocean by tapping into and re-writing their subconscious. CBT, or cognitive behavior therapy, helps people who are struggling with a variety of phobias. CBT is based on the idea that the way people perceive a situation is more closely tied to their reaction than the actual situation is. In other words, the anticipation of an event is often worse than the event itself. One way in which CBT is used to help clients is to target their negative thoughts and behavior and transform them into positive thoughts that can improve their mood and their behavior when confronted with the situation they fear. Doctors who employ CBT use a host of methods to attempt to help their patients. Such therapies tied to CBT include positive psychology, acceptance and commitment therapy, compassion-focused therapy, and, in the case of personality disorders, psychodynamic psychotherapy, to name only a few. Another way a doctor can test whether a patient is suffering from a phobia is to expose him or her to a photo or some other such stimulation involving a large body of water, and then analyzing his or her reaction to that stimulus so as to identify the root cause of the fear. This is called exposure therapy. Those who prefer alternative therapies may opt for acupuncture as a way to assuage their fears. As with many fears, the best way to conquer thalassophobia is to face the fear head on. Frequenting the r/thalassophobia subreddit is a good start, but making physical contact with the water is your best bet. For instance, if your fear stems from not being able to swim in deep water, sign up for swimming classes. Once you're confident in the water and you know you can more easily escape a dangerous situation, you'll boost your confidence and eradicate your fear. Unfortunately, there is no way to prevent an adult from suffering a fear of the ocean. Even if s/he were to move to a landlocked state, far away from any river or ocean, simply seeing a large body of water in a movie or on the internet can drudge up those old fears all over again. The only way to prevent someone from developing a fear of the sea is to expose him or her to it while they're young. However, hope is not lost. Just because thalassophobia cannot be prevented, this does not mean that a person who is suffering from it is destined to remain miserable for the entirety of his or her life. Thalassophobia is actually one of the easier phobias that doctors can help their patients overcome. On average, it only takes a few months for patients to triumph over their condition. In a worst-case scenario, it may take a year or two to help someone completely eradicate his or her fear of the sea. And, for all intents and purposes, this is a phobia that is relatively easy to keep in check while in treatment. So long as the patient does not have a job that requires him or her to spend a large amount of time in the sea or another large body of water, then s/he should be fine refraining from spending time at the beach for a year or two until his or her condition is fully cured.